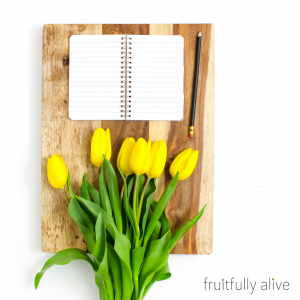 You’ve made the decision to go all-in and make your online freelancing dreams a reality… Congratulations! This decision means different things to different people, but for most of us it involves the vision of achieving freedom with our time and income, possibly leaving a less-than-desirable 9-5 behind, and becoming the mistresses of our own destinies when it comes to deciding what we want to do to create income. It’s also an incredible time to become a freelancer. The combination of an evolving workforce with increasing numbers of businesses outsourcing for services, and a multitude of options for finding a desirable niche to serve and skills to offer means amazing potential for new online freelancers. It would seem, then, that we have all the “ingredients” for something incredible: The potential to change your life as an online freelancer and a marketplace where almost anyone can find a place and make great things happen. That all sounds wonderful, but if you’re just getting started you may be wondering, where do I find these clients to deliver my awesome services to? Great question. Before getting in to some actionable tips for finding those first clients, however, it’s worth taking a minute to address mindset heading in to this aspect of your online freelancing adventure. New online freelancers seem to fall in to two general categories. The first are those who will cross every ‘t’ and dot every ‘i’ before going out and looking for those first clients. Specifically, these are individuals who will have their websites finished, the courses they may have enrolled in to hone their skills completed, and their business plans written out. The second category is comprised of individuals who will start the hunt for those first clients right away, perhaps while they’re working through some of the things I just mentioned or even right after having decided to explore online freelancing. To be clear, there’s nothing wrong with either of those categories and it’s really a matter of personal style and comfort. Whichever one you fall into, however, it’s worth taking some time to clarify what you’d like to do and what services you’re able to offer. In other words, don’t just begin putting yourself out there hoping that “something will stick” eventually. While it’s commendable to take the go-getter approach and begin sourcing clients right away, launching yourself without having at least some focus could likely lead to feeling discouraged if your early efforts at finding clients aren’t fruitful. Being clear about what you want to, and can, do will help you present more confidently with potential new clients. Similarly, being somewhat targeted in your search for them will help you be more efficient with your efforts. Now that we’re clear on a productive mindset to get started with, let’s move on to some tips for finding those first clients. I’m starting with this tip because your natural market, meaning the network of people you already know and interact with, is perhaps the most promising place to find that first client. This doesn’t mean hitting up your friends and relatives for work, but it does mean sitting down and taking some time to think about the people in your existing network and whether they, or anyone they know, might have need of your services. You’re starting a new chapter of your life, an incredible adventure full of possibilities and potential. Let your friends and family know about your exciting news! And don’t be afraid (without being pushy or obnoxious) to ask them, if it’s relevant, if they or anyone they know can benefit from your services. You can let people know what you’re doing in a friendly “Hi, how are you?” email and ask them to keep you in mind if they think of anyone who might benefit from what you’re offering. You just never know who someone might know that they could you connect you with, and if you don’t ask, the answer is always no. Keep in mind, also, that your network already know you and are hopefully pulling for you so this can be a great resource to call on when it comes to getting started. You may not land your dream client, and the circumstances may not even be as ideal as you’d like, but you’ll get some momentum started and some experience under your belt. That alone can inspire growth in your new online freelancing business and provide you with some experience and therefore confidence to go out and find more clients. Tapping in to your local market is another potentially excellent place to find a first client. One of the bonuses of this option is that you’ll be interacting face-to-face with business owners. In our current digital culture that can go a long way when it comes to establishing a relationship and building trust with a potential new client. What local businesses do you frequent or know about that could possibly benefit from your services? Have some inexpensive business cards made and start conversations with the owners or managers of these businesses. Ask them about their business, listen, and look for opportunities to let them know that you’d love to support them by providing your services. Attend some local in-person networking events, which is another great reason to have some business cards made. Even if you don’t walk away with that first client, you’ve hopefully made some connections, got your card in some hands, gathered some, and at the very least have had some great practice talking about what you do. Remember that you don’t need to tell people you don’t have any clients yet. Don’t be dishonest, but don’t volunteer the information either! Follow up with the people you connect with at these events to communicate that you’re a legitimate individual running a legitimate business and nurture any new relationships you make. They say you’re potentially just one connection away from changing your life. Once again, you just never know who you’ll encounter and make a connection with that could become that first client. If you’ve been exploring online freelancing, chances are you’ve spent some time hunting around the internet and have subscribed to some relevant email lists. Even if you haven’t, start researching businesses and business owners that resonate with you and that you think might benefit from the services you’re offering. Begin building relationships with business owners whose lists you subscribe to or with businesses you’ve researched. You can do so by engaging with their content, commenting on their blog posts, following them on social media and learning as much as possible about them and their possible needs. What you’re doing is laying the groundwork for approaching these businesses with a pitch for your services. Online business owners get approached frequently for work, but when it’s by someone who has genuinely taken the time to learn about their business and who shows some kind of understanding, it goes a long way. Unless you’ve already spent time on the researching and engaging side of this tip, this strategy may not be produce immediate results but is well worth the effort. Because of the time and energy put into finding and cultivating relationships with businesses that resonate with you, you’re more likely to land a client that you’ll be really excited to work with right off the bat. There are a multitude of freelance websites like FlexJobs and UpWork that list jobs for freelancers. While for some this may not be an ideal option as pay rates are often lower for jobs listed on these sites, for others they may be a great place to find that first client to gain some experience and confidence. These sites can also be pretty competitive, but checking them frequently and applying quickly after jobs are posted can definitely result in work. If you’re going to explore this option to find a first client, it’s also advisable to use sites that have a paid subscription fee as these typically vet the businesses they post work for and you can be more confident that the leads are worth pursuing. The tips we’ve covered for landing that first client as a new online freelancer can either yield immediate results or may take some time and nurturing. 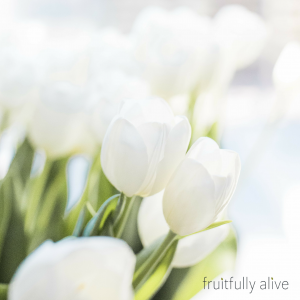 It’s always great when you take action and experience an immediate outcome, however in the world of freelancing and networking it also pays to be diligent, patient, and sow seeds with the confidence that they will bring a harvest. 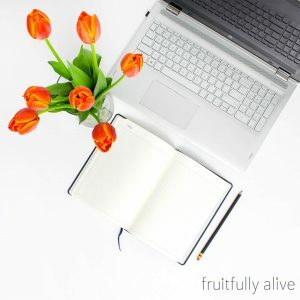 Take a minute to read this post about eight things I wish I’d known before starting my online freelancing business for some extra inspiration and ideas for beginning to build your clientele as a new online freelancer. You may even want to start a Mind Map to spark your creativity and explore ways to find that first client. Lastly, be encouraged! That first client will come and the experience can have the effect of getting over an initial hurdle and being propelled forward into your adventure as an online freelancer. Stay positive, diligent and focused and you will attract the right individuals into your budding business. Where are you with building your online freelancing business? 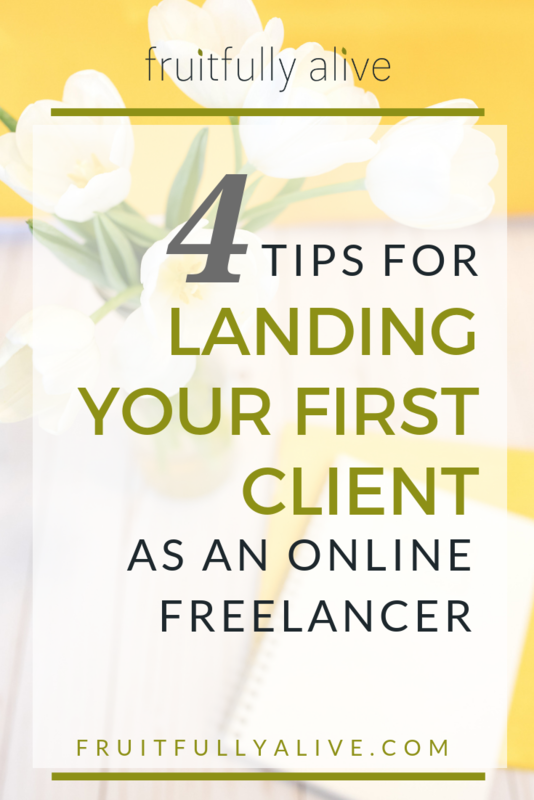 If you haven’t landed your first client yet, which tip do you think you’ll try first? Let me know in the comments below, I’d love to hear from you!